Naughty and Nice Book Blog: LET'S CELEBRATE MEGAN SMITH'S 1 YEAR INDIE ANNIVERSARY WITH A SALE !!!! 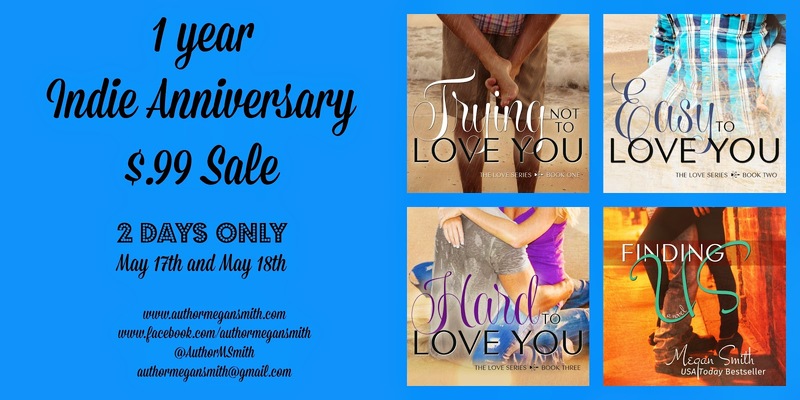 LET'S CELEBRATE MEGAN SMITH'S 1 YEAR INDIE ANNIVERSARY WITH A SALE !!!! LET'S HELP MEGAN SMITH CELEBRATE HER 1 YEAR INDIE ANNIVERSARY.